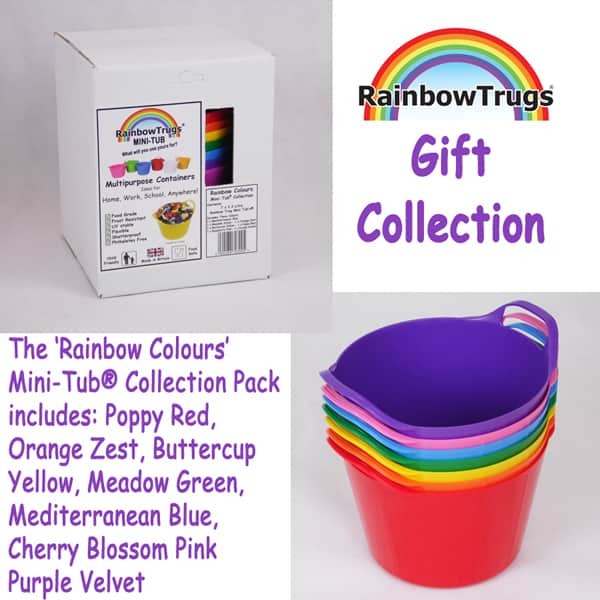 This display boxed gift collection pack comprises of 7 x 2.2 litre Rainbow Trug Mini-Tubs® in a range of Rainbow colours. 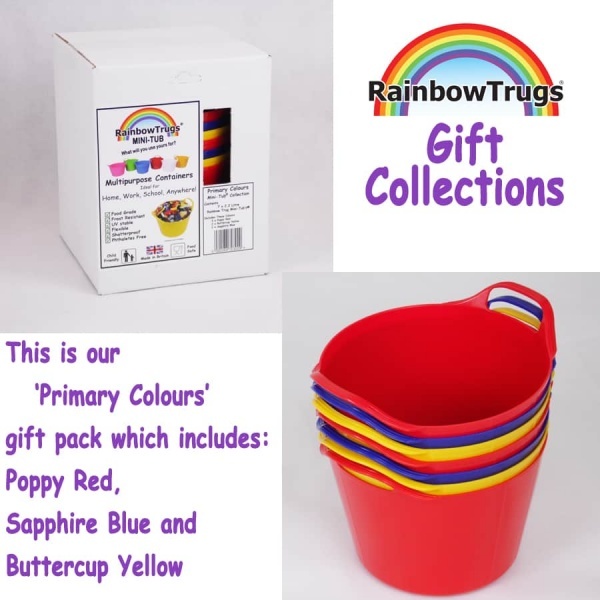 Each pack includes the following colours: 1x Poppy Red, 1 x Orange Sorbet, 1 x Buttercup Yellow, 1 x Meadow Green, 1 x Mediterranean Blue, 1 x Candy Pink, 1 x Purple Velvet. I am disabled and my garden is call the smiley bucket garden with faces on my large buckets. 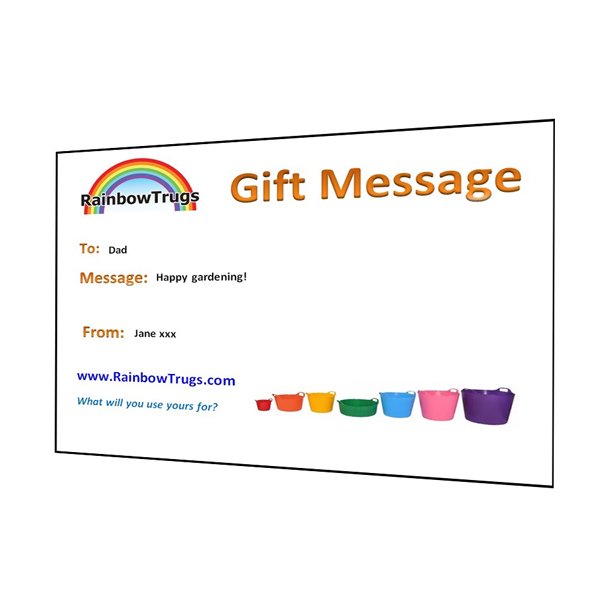 I have just brought some mini tubs with stickers and the local kids love them. Thank you I will be back for more.